MMAPayout recently reported that Zuffa had imposed a sponsor “fee” – similar to the UFCs – that impacted several Strikeforce fighters heading into the Strikeforce HW GP: Overeem vs Werdum event. This time, the sponsor fee will prevent MMA fighters Tim Kennedy and Liz Carmouche from wearing the Ranger Up brand during their upcoming bouts. You have to feel bad for sponsors who have grown their brand side-by-side with their sponsored fighter from the small shows to the “big stage” and have continually supported their endeavor to pursue MMA. Most fighters would not have reached the “big stage” without those sponsors who gave them a revenue stream when they were just starting out. In terms of MMA as a business, it makes perfect sense for Zuffa to apply the tax, though it becomes a tough and critical transitional stage for many fighter-sponsor relationships. For most smaller-scale sponsors, it just doesn’t make any fiscal sense to be paying the Zuffa sponsor fee, specially someone as unique as Ranger Up, who specializes in helping the troops and is not just focused on increasing brand exposure through the signing of numerous fighters. Ranger Up stressed that supporting the troops will always be the primary focus of Ranger Up, whether it’s through sponsorship in MMA or other events, such as the All-Army Combative Tournaments where Tim Kennedy has made a name for himself over the years. Ranger Up is currently sponsoring over 100 troop members pursuing MMA in smaller events. “Anyone who has honorably served or serves our country will get our support. Whether it’s inside the cage or just personifying what Ranger Up stands for” said Palmisciano. Ranger Up currently sponsors notable UFC/Strikeforce fighters Tim Kennedy, Liz Carmouche, Brian Stann, Jorge Rivera, and Tim Credeur to name a few. Strikeforce middleweight Tim Kennedy said on Thursday's edition of Bloody Elbow Radio that he'll be foregoing other sponsors for his fight next week with Robbie Lawler at "Strikeforce/M-1 Global: Fedor vs. Henderson," opting for blank shorts and shirts. "I've been with Ranger Up for six years. They've been so loyal to me in every single way they possibly can supporting me as a sponsor. Even though I can't be wearing them on my shorts, I won't be wearing anybody. I'm going to reciprocate that. It's going to be symbiotic. "They've supported me and they're going to continue to support me, so I'm going to be wearing blank fight shorts. I've going to be wearing a blank T-shirt. "Zuffa is a great company and they are very business minded and they're my bosses, so I can't argue how or why they do things, I can just do what they tell me. 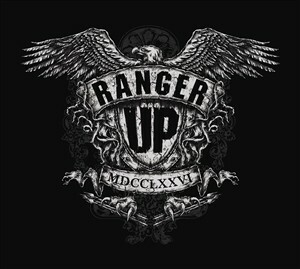 So I won't be wearing Ranger Up, but I'm definitely going to be supporting them in every way I can." Kennedy said he hopes Ranger Up will be able to sponsor fighters by the end of the year.